This title is a great gift for the emerging baby shower trend in the UK. It has a low price point and gifty format. 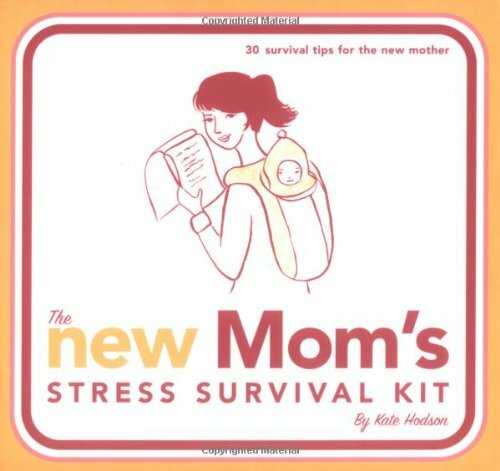 New moms experiencing the joys and stress of motherhood need only look inside this kit for relief. Thirty cards offer simple, brilliant bits of advice, suggestions for activities, and tips that can make the day easier, a baby happier, and a stressed-out mom more relaxed. The kit also comes with a tension-relieving eye mask for fitting in a quick catnap whenever possible. Kate Hodson is a new mother and a writer living in the Bay Area, California. She has been a copywriter for more than 15 years in England, South Africa, and California.